The fast-growing printing method known as sublimation printing is becoming more popular for manufacturing promotional products. This revolutionary way of printing first launched in the 1950’s compared to centuries old Silk screen printing produces higher quality images than other printing systems. It involves using sensitive inks that merge to the structure of materials, such as plastic, card, paper, fabric or textile. The first step is to print a digital image on to transfer paper; it absorbs and dries the ink quickly. 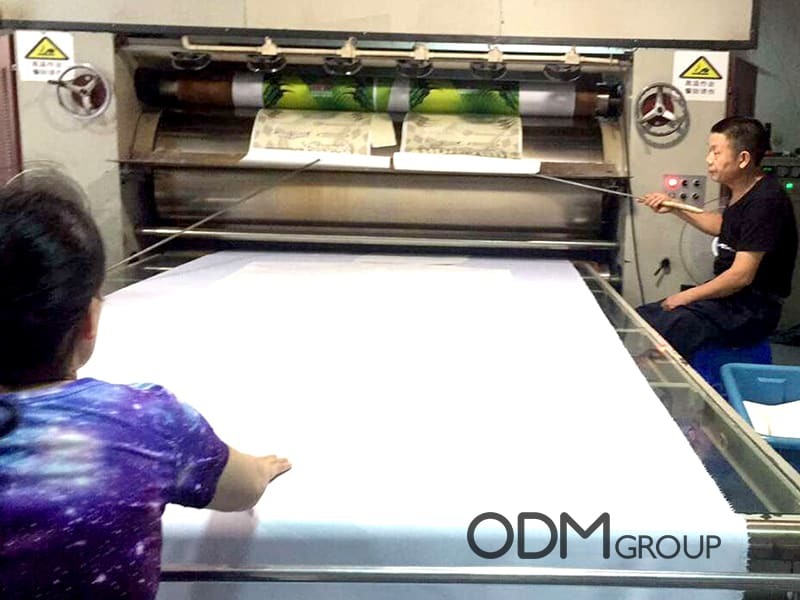 Then, the factory cuts the paper according to the layout and applies it on the textile. For sublimation to take place all you need is heat and pressure. A specialised press machine transfers the ink to the material. It is advised to use 100% polyester fabric for textile. In the video below it demonstrates the transfer of the ink. Cost efficient – allows you to choose to print on a wide range of materials at lower costs than general printing. 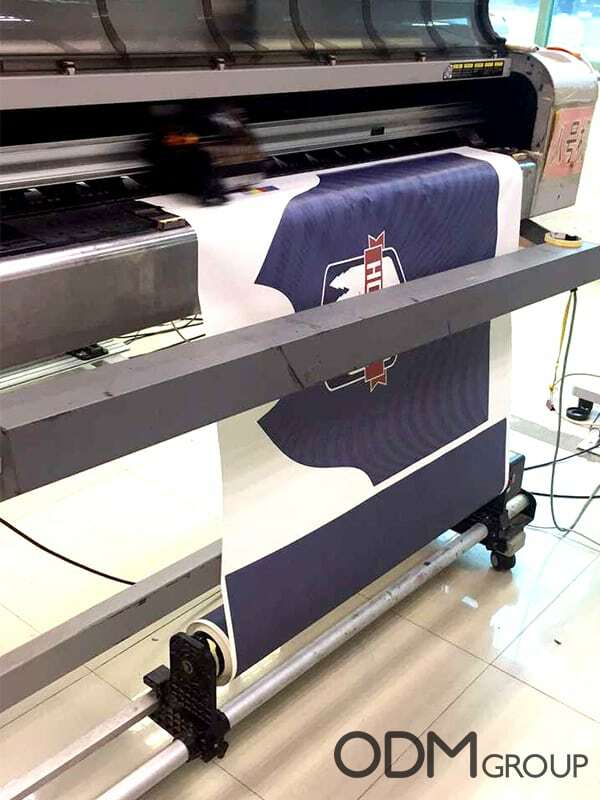 The core disadvantage for sublimation printing is that it is mainly used for small production runs because of the slow printing process. Therefore, if you wish to produce large quantities of items than it wouldn’t be ideal. Moreover, the dye covers only the surface of the fabric. For example, fluffy material wouldn’t work well because the image would only get printed on the top layer. Also, if there are the creases in the fabric than it can leave white patches where the dye is unable to reach. What type of products qualify for sublimation printing? Sublimation printing is widely used on products, such as towels, pillows and t-shirts and also compatible with mugs, bags, cups, umbrellas and branded banners. Overall, the key benefits of sublimation printing is that it is more cost efficient and you will achieve higher quality, customisable prints. At ODM we have significant experience in product design, sourcing and manufacturing. For more information on sublimation printing or any other promotional ideas, please don’t hesitate to get in touch with us. You can drop us an e-mail at info@www.theodmgroup.com. The following video is footage of a workshop using sublimation on paper.